The year was 1606 and it brought the birth of The First Real Estate Company in North America. The London Company. What became The London Real Estate tradition began with these glorious words declared by James I, King of England. By the grace of God, King of England, Scotland, France and Ireland, Defender of the faith doth proclaim that whereas our loving and well disposed subjects Sir Ivan Gates and Sir George Somers, knights and diverse others of our loving subjects have been humble sutors unto us that we would bequeath unto them our license to make habitation, plantation and deduce a colony. Though the original firm eventually disappeared, over 300 years later, the Conner Family managed to secure the original charter and incorporated The London Company in Fresno, California. Over the next 15 years The London Company concentrated exclusively in Commercial and Industrial Real Estate. In 1973, The London Company opened its first Residential Division as London Properties Ltd. Over the next 25 years, London Properties acquired thirteen of its largest valley competitors and grew into one of the largest Real Estate companies in America. 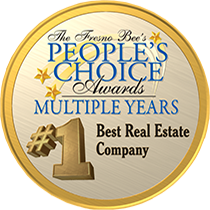 Today, with over 450 Sales Associates and support staff in eleven offices throughout the valley, London Properties dominates the residential real estate market and ranks in the top 1% of all Brokerage firms in America. Our company motto, Quality, Integrity and Productivity and our Associates' ability to instill these values in each and every transaction has made London Properties the most trusted name in real estate. Though our strength is based on deep valley roots, we are also proud to be affiliated with the world's most prestigious real estate network, "Leading Real Estate Companies of the World". It is a collection of the largest and most successful Brokerage firms on the globe. Together, our collective sales volumes outproduce any of the Real Estate organizations or franchises. We are proud to be a member of this great institution and to bring that marketing power to our friends and family here in the valley. Whether you have a buyer for Atlanta, Georgia or have a home to sell in New York, London Properties is your key to real estate success anywhere in the world.